In our earlier blog – Use Empxtrack to Quickly Complete Employee Evaluation, we had seen how Empxtrack Performance management modules assist managers to complete performance appraisals quickly. 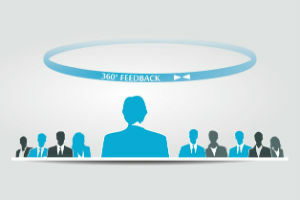 In this blog we discuss how Empxtrack Performance Appraisal module assists managers to conduct an effective feedback session. Availability of both the employee and the manager ratings: Empxtrack allows both the manager’s ratings and the employee self-evaluation ratings on each parameter in front of them at the time of the appraisal meeting, as shown in Image 1.This allows managers to understand employee perspective on each parameter, recognize their opinion on their performance and map it to their own rating and comments. This allows a feedback meeting based on the employees perception of their performance vs the managers expectation and can help in employee development. Complete view of employee’s career profile: The managers can view the entire career profile of the team members on a single page, as shown in Image 2. The career information include the projects undertaken, training programs, rewards, discipline, leave summary, employment details, manager notes, and the goalsheet details of the team member. This allows managers to have a content rich and factual discussion about performance of the team members. 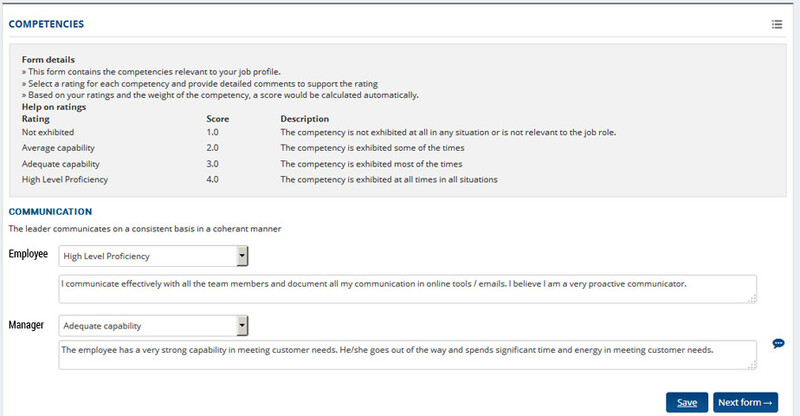 Ability to print sections of appraisal: Empxtrack makes the discussions easier for managers by allowing them to take the print outs of the selected appraisal forms for employees, as shown in Image 3. This way they can show the desired comments and ratings to the employees at the time of discussion while maintaining the confidentiality of the other sections of the appraisal. Availability of employee Goalsheet and Tracking sheet: At the time of an appraisal feedback meeting, the managers may need to view the achievement status of the goals defined for the employees. The tracking sheet for a goal sheet shows the achievement status of the goals, as shown in Image 4. With concrete proof and factual information on the performance of the employees, the managers can easily convey the weak areas of the employee without leaving any place for conflicts. Through the availability of both the employee and the manager ratings, complete view of employee’s career profile, ability to print sections of appraisal, and the availability of employee Goalsheet and Tracking sheet at the time of the appraisal feedback meeting Empxtrack Performance management modules assist managers to conduct effective feedback sessions with employees at the end of the appraisal. In the next blog in the Performance Management Series of blogs, we will discuss how Empxtrack Performance management modules assist HR manager to track the progress of the appraisal, capture final scores, and complete the appraisal process.